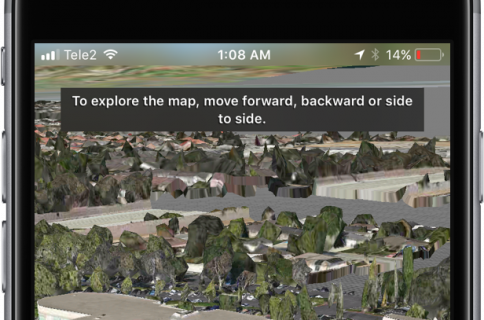 In the run-up to the forthcoming iOS 8 launch, Apple appears to have recently added dozens of cities and landmarks to the automated three-dimensional Flyover tours available in iOS 8 and OS X Yosemite, according to evidence MacRumors discovered Sunday. Specifically, as many as 40 locations are Flyover city tour-enabled out of the 90 cities where regular Flyovers are available. Apple has also been expanding Flyover coverage with the latest additions of the Yosemite National Park in the United States and Wellington in New Zealand. The Apple Maps app in iOS 8 and OS X Yosemite distinguishes between regular Flyover locations and those with city tours enabled with a small “3D” icon instead of the standard dot used to mark location. Tapping the icon launches a scripted aerial tour of the city rendered in Apple Maps’ three-dimensional Flyover mode (more on that here). To see Flyover city tours in action, check out this video. In the past twelve months the Cupertino firm has introduced regular Flyover views for a bunch of landmarks and locations. According to the iOS 7 Feature Availability webpage, regular Flyovers are currently available in 90 places around the world. 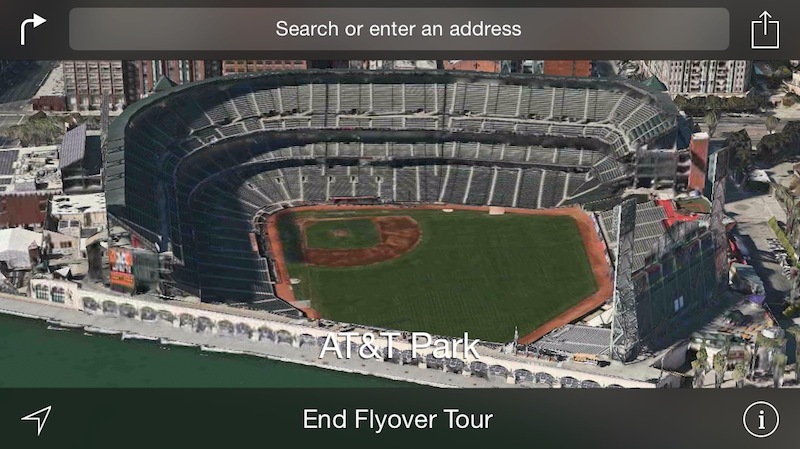 Top image: a Flyover city tour of San Francisco’s AT&T Park.